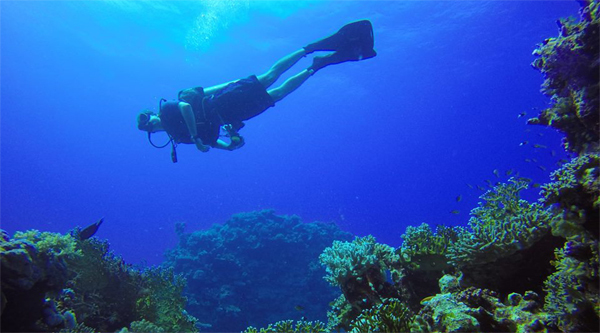 Scuba diving trips from Sharm el Sheikh departs daily to the main locations in The Red Sea and the area : Tiran island, Ras Mohammed, Sharks bay, ship wrecks. 07:30 am Pick up from your hotel and transfer to the jetty. 14:00 pm Your 2nd diving activity. The true enchantment of the Red Sea is hidden just below the surface. The Red Sea is considered by many to offer the very best diving available in the marine world. 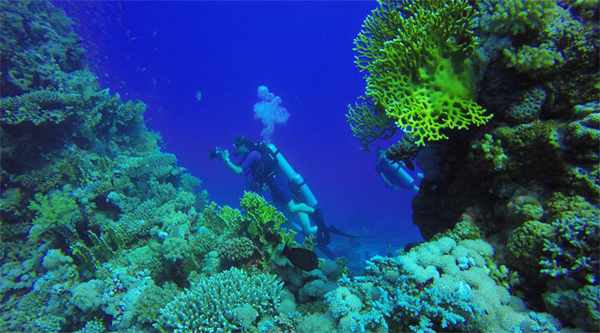 It attracts divers, photographers, marine scientist and leisure seekers from all over the world, hoping to experience and explore the incalculable wonders of the colorful abundance of marine life and the Red Sea's beautifully stunning coral reefs. 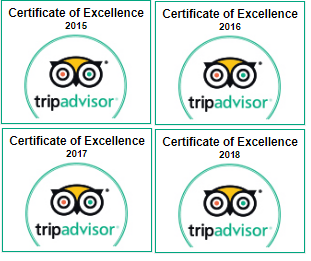 This trip is designed for divers holding Advanced PADI certificate or Open Water diver PADI certificate so that you can choose the destination which will suit best your diving experience. Beside daily trips to the famous Ras Mohammed and Tiran island reefs and coral structures, night diving or wreck diving is also available upon request. Most dive sites are reachable in less than an hour boat ride. The boats usually leave around 8:30 am for a whole day trip, returning at around 4:30 pm. Daily diving trips include a morning dive, lunch and relaxation as well as an afternoon dive. As we do pickups from any hotel in Sharm el Sheikh you do not need to worry about your transfers. Pick up from your hotel in the morning as scheduled in your invoice and transfer to the jetty where our crew will be waiting for you. In case you do not have diving equipment, such as wet-suit or fins you can always rent it from our dive-center before the trip. Rent per day or for a full week with a discount is always available. One of the most beautiful sites all over the world, the first and the only national park in Egypt where there are more than 130 sorts of coral reefs and more than 1000 sorts of fishes. There are a lot of sites at Ras Mohamed that considered to be the best sites all over the world for diving and snorkeling. The most famous beaches are 'The main beach, Yolanda beach, Old quay beach and Khashaba beach. Let’s enjoy full day boat trip to the location, two dives are available during the trip. Dive in preferred spots, enjoy sun, sea and the environment. By 5 pm the boat will be back to the jetty. Our rep will meet you there and transfer back to your hotel. We are professional divers and always choose sharm-club and their center to dive with, they arrange us many diving trips including night dives and wreck dives at Thislegrom. We highly recommend them.